I feel like I haven't written a talky-talky post is quite sometime, so I am going to do one for today's BEDIHT (Blog Every Day In Half Term). On Wednesday, my friend Stripeytofu, wrote his post: "I'm thankful for...", and I'm going to write my own version of it in response to it. Obviously my parents are who I am most thankful for, as most people would say. This is because they are usually the people in the world who teach you some of the most important and basic skills required for a successful life: what is right and wrong; how to converse and communicate and how to look after yourself, so hopefully one day, you can leave the nest, live your own life and pass on these skills to the next generation - it's basic biology. Now as for myself, I may not have a story as poignant as Stripeytofu and even though I may have not appreciated it at the time, I am eternally grateful for what they have taught me and done for my upbringing. I personally think that I am a very independent person for my own age (you can be the judge of that). This is mainly because my parents have given me so many opportunities to explore the world by forcing me do things, which to begin with may feel scary, but is something vital to learn. For example, I have been to a variety of places by myself, plus I also went on a plane to Finland for the first time when I was 11, which at the time, was really nerve racking, but now I know how to navigate an airport. It has taught me try new things, take the risk and not be afraid. I also think that this independence has made me very self-motivated. I strive to achieve, not because my mum is going to shout at me if I don't, or to impress to parents, but for my own satisfaction. Even though perhaps, deeper down that may be still a reason, but it is not the sole reason. If I achieve an A* in an exam, I don't go telling my parents, or anyone else for a matter of fact. I try to be pro-active as possible, and find my own opportunities, than relying on other. Eek, I just realised these two paragraph makes me sound so egotistical and I hate talking about myself, so don't judge me And no, I am not using reverse psychology. This is something that is a huge part of my life, and is something I am extremely, extremely thankful for. Being a BBC means that I have been able to appreciate two different cultures, and my parents have done very well to try and bring alive my cultural heritage. We go on holiday almost every year to a variety of countries. These holidays, however, are never just sun bathing on the beach. I always manage to learn something from these holidays to places of cultural/historical importance. I feel like appreciating other cultures is absolutely imperative for the future as the world is becoming increasingly globalised, and multicultural. Cultural understanding and acceptance is the key living harmoniously together (I sound like Confucius or someone!). I am going to write a more in depth post on this subject later this week, as I feel like a measly paragraph cannot do it justice. Obviously, I am thankful that my parents have the time and money to take me on holiday, as I do realise that lots of parents aren't able to do that, so thank you! This is almost a paradox by saying this, but I thank my parents for making sure that I'm always modest - lol, what a hypocrite. Again I am not attempting reverse psychology or anything, but I do not think I am very musically talented in anyway, at all. Why are you grade 8 violin I hear you ask? Well, I think it's simply because my parents have been sending me to music lessons since I was 7, and I practise (sometimes!). This is all thanks for my parents, especially since music lessons are so PAINFULLY expensive. Some of my musical activities are very far away, so thank you Dad for driving 60km a day for a week, for my music course! Also, I must mention that my school is 15 mins away from our house and there is no bus, so thank you for driving my sister, others and I to school every day for the 11 years - now that's dedication. Something that is a HUGE part of my life is - of course - food. My parents have taught me something, which I am SOOO grateful for, and that is to not be picky with food. I can honestly say I am probably the least picky person you could ever come across. This is probably because I love food so much and that my parents fed me some food from a young age, which you guys may find rather bizarre/grotesque/stomach turning, but I find delicious! For example, in this week alone, I have eaten frogs legs, pigs ears, and fish cheeks. My mum is a whizz in the kitchen and has passed on a few tips to me about food preparation, but I really hope to learn as much as I can before I leave for university. We are the first generation who cannot remember a time without the Internet, or a personal computer, thus in that sense, I am so grateful to live at a time in history when technology is so quickly evolving and changing our lives. If anyone has any problem they need solving, type it into Google and BAM, there you go, an answer in around 0.15 of a second. They say the uprising and revolutions in the Middle East were catalysed by social media via the Internet. Over 35 hours of video is uploaded to Youtube every minute. Imagine if North Korea had the same level of technology and accessibility to Internet as South Korea, and everyone suddenly became computer-literate, what would happen? We can't deny that we do enjoy those Internet memes such as the troll face, nyan cat or rickrolling. What optimises the Internet - in my eyes - is that there is freedom of speech, and when there is opposition against it, such as SOPA/ACTA/PIPA, a huge backlash is prevalent. That is why I do believe that when governments do block/regulate the internet (such as the Great Firewall of China), it can be so detrimental. That, and also the fact that it does enable opposite sides of the globe to be connected in milliseconds, linking into the ideas of increasing globalisation and other points I mentioned earlier. Anyway, I enough about all that deep stuff. I really should do some more research before these types of posts - I don't claim to be a expert in this topic! 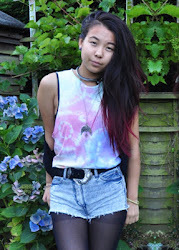 Back to what I was getting, I am also so thankful for blogger, as doing BEDIHT, has made me realise just how much I enjoy doing it, and being able to express my views online, even if no one is reading it. Okay, that was a really long post. Sorry if my writing and grammar is a bit flouncy and incoherent- I am in a weird essay writing mood (what has the world come to!) and I think I went off on a tangent on quite a few subjects. I am a pseudo-intellectual, at least at the moment! In summary, I am thankful for my parents for teaching me everything I know, and the internet for being awesome. P.S. CONGRATS if you've gotten this far and the entire post, you are a true fan! 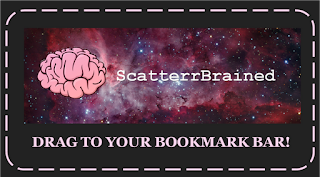 P.P.P.S Create a bookmark of ScatterrBrained, to stay updated to the posts, simply drag the image below onto the bookmark bar above your tabs. Please do this as I spent yonks making and editing that tiny image - time to learn how to use Photoshop/Gimp etc! P.P.P.P.S I probably have missed out lots of words etc. in this post, but my eyes are going funny from after staring at this screen for 2 hours, so I'll proof read it later, and you can giggle and laugh at it for the moment being.